Steve Prawiromaruto is a rising junior at American University. He has an infectious passion for Jesus as well as impeccable style. In Confucian thought, filial piety is the foundation of wisdom and proper living. “Filial Piety” refers to the idea the youth must respect and obey the elders of society at all costs, and that any deviation of this, either through disobedience or questioning of authority would disrupt the harmony of society. As one who was raised in an Asian country where Confucian thought and filial piety are revered and instilled in every child, I grew up in an environment that discouraged the questioning of authority and encouraged adherence to familial and religious values. Although being raised as such helped keep me out of trouble and made me the poster boy for perfect church attendance, it came at the cost of a lack of self thought and no forum of discussion regarding questions I had about the Christian faith, why it is the truth and how I should actually apply it in my daily lives. 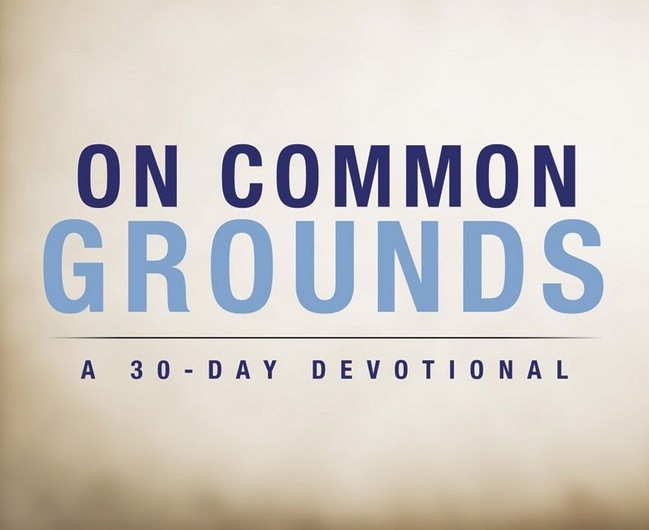 Thus, I was living in a perpetual state of blind faith, simply following the authority of my parents and my church without ever making the faith my own and establishing my own personal connection to the Lord Jesus Christ. This all changed however, when I came to the United States for college, and Chi Alpha played a huge role in my spiritual walk. It helped strengthened my faith and blessed me with a a loving but challenging faith community. 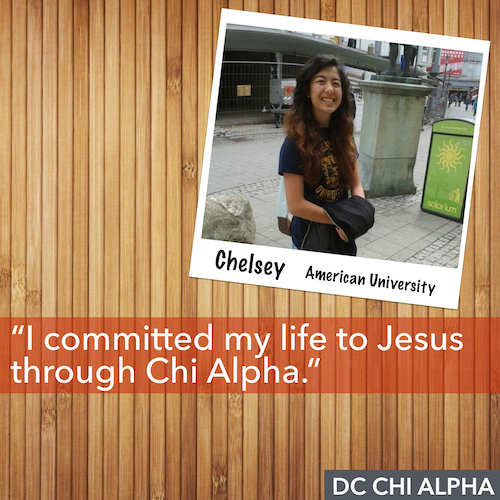 My interaction with Chi Alpha began my second semester, when a friend of mine invited me to a Chi Alpha small group. I found small group enjoyable as well as challenging, as we had deep discussions about the word of the Lord but also always took the time to see how each other is doing and get to know each other better. I had gone to a Thursday Night Worship session previously but in the end, what drew me in was not how good the band was, how good the preacher was or the free snacks they had in the basement during Welcome Week, but instead my first small group, where I was warmly welcomed by a group of spiritual individuals who throughout the years I have grown together with, personally and spiritually. In addition to small group meetings, one-on-one meetings between the small group leader and those in his or her small group is also an integral part of Chi Alpha as it focuses on building community and discipleship relationships. These one-on-one meetings were also a key part of my spiritual walk, as I was able to finally ask the questions about the Christian faith I have had my entire life, as well as strengthen my relationships with my spiritual mentor and peers. I am amazed at the devotion every single member of Chi Alpha has for each other, as they allocate their time and resources to just sit down and talk with another in order to help each other in their spiritual walks, even when its challenging. In my home church in Indonesia, the pastor is considered to be the authority and it is usually encouraged that the congregation merely listens to what he has to say and not question its content. Now however, who I would normally consider to be “the authority” is instead humbling his/herself to attend to the spiritual needs of his or her congregation (or in this case the small group). In short, Chi Alpha to me is a spiritual community away from home that God has used in order to help my spiritual walk in this phase of my life. I am continuously amazed every day as to how blessed I am and how much I grow through being a part of this community.